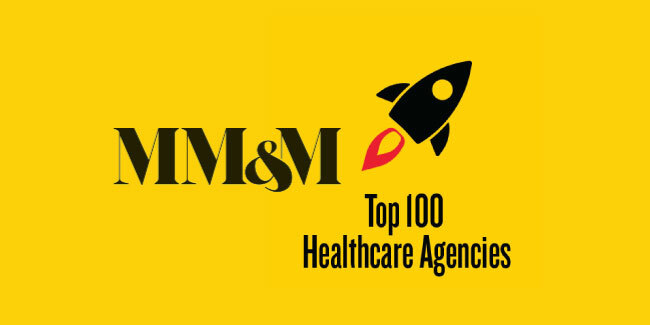 Silverlight Digital has been named as one of the top 100 healthcare agencies by MM&M in its July Agency Issue, making its debut on the annual roundup. 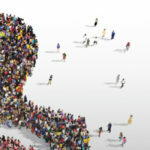 The industry ranking gives pharmaceutical and healthcare marketers a guide to marketing and advertising strategy leaders. 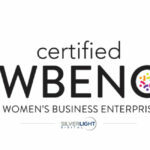 Silverlight Digital is one of the few privately held boutique agencies on the list curated by the business trade magazine, which began in 1966 as Medical Marketing & Media. Goldberg credits her agency’s inaugural appearance in MM&M’s Agency Issue with a year of growth driven by increased collaboration with leading pharmaceutical and healthcare marketing agency partners. Silverlight Digital increased its year-over-year revenue and profitability by cultivating relationships with traditional ad agencies, creative shops, web development companies and public relations agencies. Silverlight Digital partnered with Patients & Purpose and SSCG to aid Radius Health in its launch of a new anabolic osteoporosis medication for postmenopausal women. Among other tactics, Radius is launching a disease education and engagement effort to its target market of women ages 50 to 70 by using a powerful array of technology platforms conceived in conjunction with Silverlight Digital. In addition to agency partnerships, Silverlight Digital took an active thought leadership role the past six months, which included co-hosting in March a Mobile Trends in Pharma advertising event with Google. One of the key points Silverlight Digital presented was the importance of understanding how search differs from device to device, based on its in-depth analysis of millions of unique search terms for pharma campaigns. The agency has produced an associated tips guide for mobile success, available to pharma marketers. Silverlight Digital’s CEO also appeared on two industry panels exploring trends in digital advertising and women in technology. 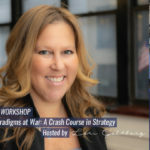 Goldberg addressed the Association of Medical Media at its May 2017 educational meeting on the topic, “Get Ahead of the Curve: Mobile Trends that Every Pharma Advertiser Must Know.” Goldberg also shared the stage with MM LaFleur Chief Marketing Officer Annie Thorp and Stephanie Abrams Cartin, co-founder and co-CEO of Socialfly, at a New York Women in Tech engagement in June 2017. Beyond its reach in pharma and healthcare sectors, Silverlight Digital landed three new clients in financial services, entertainment and retail categories. BundleFi is a platform that empowers consumers to create relationships with local banks. Thuzio is a business entertainment solution working to create more memorable networking. The Sleeper’s Shoppe, a new upscale mattress retailer, is launching later this year. By having an active portfolio of clients in multiple industries, Silverlight Digital can apply lessons learned to its pharma and healthcare clients and offer them best-in-class practices driving digital marketing in other sectors. Based in New York, Silverlight Digital is a boutique media agency focused on helping brands in the digital space with extended offering in print, digital out-of-home (DOOH) and radio. Silverlight Digital is comprised of a diverse group of innovative industry experts who come from large agency experience but are agile in moving clients’ businesses forward. The company looks across the entire digital spectrum to recommend the best approach for brands, including display, programmatic, search, mobile, video and social. Silverlight Digital services a wide range of verticals, including pharma/health care, retail, financial services, travel, sports and more. Learn more by visiting silverlightdigital.com or contacting Michael Ackerman, vice president of business development, at mackerman(at)silverlightdigital.com.